True portrayal of both luxury and beauty. 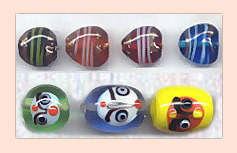 These lovely lampwork fancy beads are widely demanded in international markets. Fancy beads made of glass and available in different colors & shapes. We are offering Lampwork Fancy Beads. 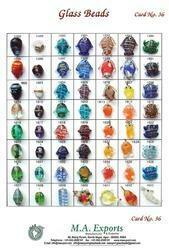 These mix lamp worked fancy beads are fine quality lamp worked glass beads. 10 x 14 mm Tubes. A mix of different colors. These beads are available in individual colors also. Exemplifying the artistic talent of our bead crafters, multishaped fancy lampwork mixes draw the eyes of everyone towards the embedded products.